Dr. Freedman graduated Tufts University School of Medicine in 1974. He completed his internship and orthopedic residency at Tufts Medical Center and affiliated hospitals, including New England Baptist Hospital and the Peter Bent Brigham Hospital and is Assistant Clinical Professor of Orthopedic Surgery at Tufts University School of Medicine. 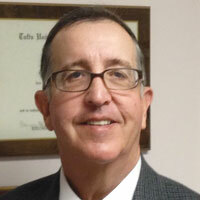 He is a Board Certified Orthopedic Surgeon with more than 30 years of experience. His clinical interests include hip and knee replacements, knee and shoulder arthroscopy, hand and foot surgery, sports medicine, and fracture treatment. Dr. Freedman enjoys sports, especially golf; and spending time with his family.